As an establish automotive company in Singapore. Carz World Pte Ltd is looking for sales team in Indonesia and station in Batam. 0 Komentar untuk "Lowongan Kerja PT. 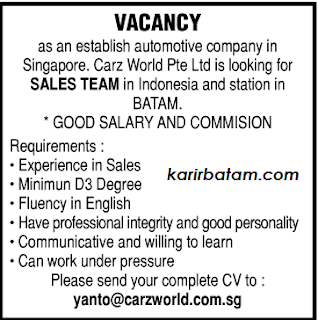 Carz World Pte Ltd"